On Monday, a federal judge of the U.S. District Court for the Southern District of New York dismissed a request to reclassify marijuana — currently a Schedule I drug, leaving the plaintiffs in a limbo after many states have legalized marijuana for medical and recreational purposes. The plaintiffs — Marvin Washington, Dean Bartell, Alexis Bartell, Jose Belen, Sebastien Cotte, Jagger Cotte, along with the Cannabis Cultural Association Inc. — filed the petition challenging classification of marijuana as a Schedule I drug, hoping that it’s reclassification would pay way for legalization of cannabis across the nation. They sued Attorney General Jeff Sessions, the Department of Justice and the Drug Enforcement Administration (DEA) in the federal court. Deeming marijuana as a highly dangerous drug, the U.S. Congress proffered the power to reclassify the drug with the attorney general. The power to reclassify was also granted to the Drug Enforcement Agency (DEA), provided the attorney general signs off on the petition to reclassify the drug based on medical and scientific data provided by the Department of Health and Human Services (HHS). The data should be consistent with the argument for reclassification. “As such, plaintiffs’ claim is barred because plaintiffs failed to exhaust their administrative remedies,” he added. The “exhaustion rule” generally implies the plaintiffs to go through all parties and exhaust all “administrative remedies” before moving to the federal courts, which the judge found was not followed in the case. By approaching the federal court, the petitioners chose to avoid the same fate dealt to previous complaints that challenged the administration agency and lost in 2016, the judge said. The note ended with the hashtags #IStandWithAlexis and #AlexisBortell. The Department of Veterans Affairs says it will not conduct research into whether medical marijuana could help veterans suffering from post-traumatic stress disorder and chronic pain, as veterans groups are pushing for the use of the drug as an alternative to opioids and anti-depressants. In a letter to U.S. Rep. Tim Walz (D-Minn.), Department of Veterans Affairs Secretary David Shulkin said VA’s ability to research medical marijuana is hampered by the fact that the drug is illegal federally. Shulkin’s letter came in response to an inquiry by 10 Democrats on the House Veterans’ Affairs Committee. The letter asks Shulkin to commit the VA to investigating whether medical marijuana can help veterans suffering from PTSD and chronic pain and identify barriers to doing so. 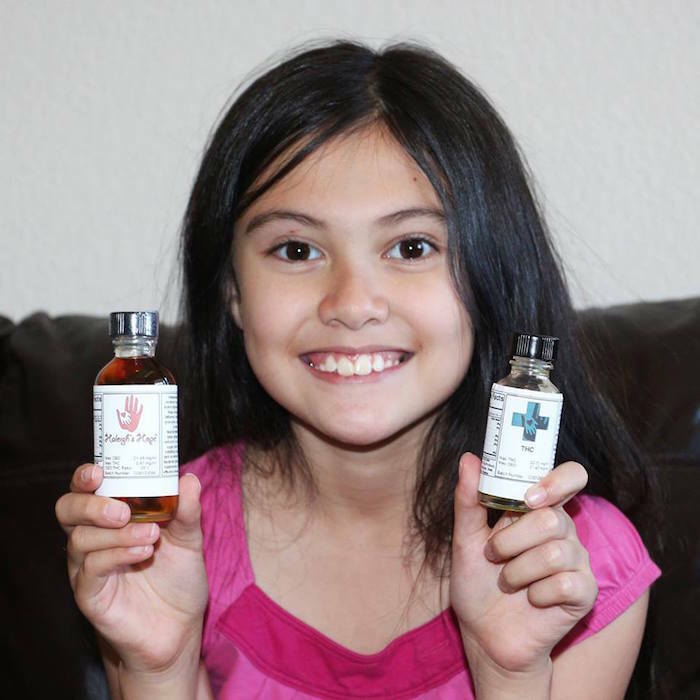 The response comes as at least 29 states, plus the District of Columbia, Guam and Puerto Rico, have legalized the use of medical marijuana in some form. Veterans groups, including the American Legion, have been pushing for the drug to be studied and used to help ease the effects of PTSD, chronic pain and other disorders. According to a 2017 VA review, about 15 percent of veterans treated at outpatient PTSD clinics reported using marijuana in the previous six months. According to an American Legion phone survey released in November, 22 percent of veteran household respondents said they used cannabis to treat a medical condition. Ninety-two percent of veteran households surveyed for the Legion said they support researching whether marijuana can effectively treat mental and physical conditions and 82 percent said they want to have medical cannabis as a legal treatment option. Last month the Veterans Health Administration urged patients to discuss medical marijuana use with their doctors. The shift will allow doctors and patients to determine what, if any, effect marijuana use might have on treatment plans. Veterans were earlier concerned that admitting to marijuana use could jeopardize their benefits. But VA physicians still cannot refer patients to state medical marijuana programs because of the federal prohibition. John Hudak, deputy director of the Center for Effective Public Management at the Brookings Institution, said even though marijuana is illegal federally, research on the drug is not prohibited. Shulkin’s response was “disappointing and unacceptable,” Walz, the House committee’s ranking member, said in a statement. “VA’s response not only failed to answer our simple question, but they made a disheartening attempt to mislead me, my colleagues and the veteran community in the process” by stating that the VA is restricted from conducting marijuana research. Walz, a veteran, said he plans to send another letter to Shulkin asking for further clarification. Shulkin said VA is offering a suite of alternative treatments for patients with PTSD, including yoga, meditation, acupuncture and hypnosis. The letter also said VA has a program to reduce the amount of opioids prescribed to patients with chronic pain; since 2013, Shulkin wrote, 33 percent fewer patients were receiving opioids. There has not been much research into marijuana for medical purposes, in large part because of regulatory hurdles and the fact that marijuana is classified as a Schedule 1 drug along with substances including heroin. Until 2016, only researchers at the University of Mississippi were allowed to grow marijuana for scientific use; the DEA relaxed the rules and let other institutions apply to do so, though none have yet been approved. President Trump said during the campaign that he supports making medical marijuana available to the very sick. His attorney general, Jeff Sessions, is a staunch opponent of marijuana. Sessions this month made it easier for prosecutors to enforce federal law in states that legalized marijuana. Eight states and the District allow the recreational use of marijuana. Shulkin cited a VA analysis of existing research, which found “insufficient evidence” that medical marijuana helps patients with chronic pain or PTSD and could increase harm in some areas, including car crashes. A study by the National Academies of Sciences, Engineering and Medicine that reviewed studies on the health effects of marijuana and associated products found they can provide a “significant reduction in pain symptoms” for chronic-pain patients. But many say there has been a paucity of research. “There has been no meaningful clinical research conducted on PTSD and brain injuries,” Etten said. (CNN) In a seismic shift , Attorney General Jeff Sessions will announce Thursday that he is rescinding a trio of memos from the Obama administration that adopted a policy of non-interference with marijuana-friendly state laws, according to a source with knowledge of the decision. While many states have decriminalized or legalized marijuana use, the drug is still illegal under federal law, creating a conflict between federal and state law. The main Justice Department memo addressing the issue, known as the “Cole memo” for then-Deputy Attorney General Jim Cole in 2013, set forth new priorities for federal prosecutors operating in states where the drug had been legalized for medical or other adult use. It represented a major shift from strict enforcement to a more hands-off approach, so long as they didn’t threaten other federal priorities, such as preventing the distribution of the drug to minors and cartels. The memo will be rescinded but it’s not immediately clear whether Sessions will issue new guidance in its place or simply revert back to older policies that left states with legal uncertainty about enforcement of federal law. The decision had been closely watched since Sessions was sworn in. He told reporters in November he was examining a “rational” policy. Just as entrepreneurs getting into the retail pot industry need a good lawyer, some of those lawyers might be wise to consult an attorney of their own. Lawyers in the burgeoning business are entering a legal gray zone where the drug is permitted for some purpose in most states but illegal under federal law – in the same controlled substances category as heroin. Missteps could lead to prosecution for conspiracy, money laundering or aiding and abetting drug dealers. Attorney General Jeff Sessions reiterated his opposition to legal weed last week and a congressional amendment prohibiting federal prosecutors from targeting medical marijuana is due to expire at the end of the year. 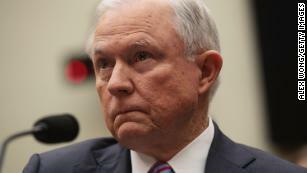 Sessions has not said if he will reverse a longstanding Justice Department policy not to interfere with purveyors complying with state laws but to focus prosecutions on trafficking, sales to minors, cartels and gangs in the business, violence or gun use in cultivation or distribution, and pot grown on public land. Despite a few instances of lawyers being prosecuted in federal and state court – including a pending San Diego County case – more attorneys are jumping into cannabis law. Legal needs range from financing to permits, real estate, water law, intellectual property, contracts and banking. With California allowing recreational pot retail sales Jan. 1, interested investors are reaching out to attorneys like Mitch Kulick to find out how to safely finance the potentially lucrative industry. Kulick, a New York lawyer who offers his expertise in many states, recently gave his typical scare spiel to a real estate magnate about the possible legal consequences, and said he could only help mitigate risk so much. Kulick, who once worked as a lawyer for the Securities and Exchange Commission and a major international firm, had to do a similar risk analysis and soul searching before deciding to commit to the higher cause, so to speak. There has been a tipping point for many lawyers setting up boutique pot law firms and jumping from old-school law firms as demand for their services trumps fear of legal repercussions and the stoner stigma fades as more states legalize marijuana use. Attorney Chris Davis, who grew up in Berkeley around friends and family who use the drug, found people operating in the shadows who wanted to go legit when he returned to California from New York two years ago. Lawyers specializing in the business see themselves at the frontier. That leaves a fascinating opportunity to shape laws and regulations and the daunting prospect of the unknown. Some state bar associations have given lawyers cover to counsel marijuana clients within the bounds of state law. Others say federal law keeps the area off-limits because ethical rules prevent them from helping clients commit crimes. Attorney Larry Donahue had several medical marijuana clients at his firm in Albuquerque, New Mexico, until the state bar issued a January 2016 opinion that said lawyers could be exposed to ethics charges for such work. Donahue had to terminate four or five clients. While prosecutions of attorneys are rare, a case in San Diego has gotten the attention of many lawyers, mainly because of aggressive tactics employed by the district attorney. Attorney Jessica McElfresh was charged with several felonies alleging she helped a client hide evidence of marijuana manufacturing. The case might have received less notice if prosecutors didn’t unsuccessfully try to get around the sacrosanct lawyer-client privilege and seek communications with all her marijuana clients. McElfresh, who vehemently denies the charges, said she knew specializing in pot law carried risks, but she couldn’t foresee “in a million years” police raiding her house. She and her boyfriend and mother were escorted into her backyard, where she was handcuffed barefoot in her pajamas during the search. She said she didn’t take the risks some lawyers do by sitting on the boards of a client’s company, owning a share in a business or introducing clients to one another. A new district attorney took office after McElfresh was charged and allowed five co-defendants facing similar charges to plead guilty last month to misdemeanors and get probation. The San Diego district attorney’s office wouldn’t comment, but in a statement cited the recreational pot law passed by voters last year and the new administration’s “changing focus” as part of the reason for the plea deals. It’s not clear if that change will affect McElfresh’s pending case. Immigrant rights activists and attorneys are reminding immigrants of potential consequences of using marijuana at a time when President Donald Trump is ramping up deportation efforts. It’s legal in California, but marijuana possession and use is still a federal offense that could cause serious problems for immigrants in the Golden State. Undocumented immigrants can be deported for marijuana consumption in certain circumstances and may risk not being admitted back into the United States if they leave. Immigrant rights activists and attorneys are reminding immigrants of potential consequences at a time when President Donald Trump is ramping up deportation efforts. The White House has said that any immigrant living in the U.S. illegally who has been charged or convicted of any crime, or even suspected of committing a crime, is now an enforcement priority. Virginia Kice, a spokeswoman with the U.S. Immigration and Customs Enforcement, or ICE, declined to say how the agency deals with immigrants accused or convicted of marijuana crimes in states where it’s legal. Instead, she reiterated the Department of Homeland Security’s focus on targeting all “removable aliens” who have committed crimes, beginning with those who have been convicted of a criminal offense. While those who pose a threat to public safety will continue to be a focus, the department will not exempt classes or categories of unauthorized immigrants from potential enforcement, she said. “All those in violation of the immigration laws may be subject to immigration arrest, detention and, if found removable by final order, removal from the United States,” Kice said. That’s why immigrants need to be aware of consequences surrounding marijuana use, advocates said. “It could happen that people think that now that it’s legalized, that it would be completely safe, but obviously in this era of increasing concern of criminalization, and the fact that the federal government has said it wants to crack down on marijuana on the federal level, we’re really just trying to help inform and be proactive with immigrants of these concerns,” said Angie Junck, a supervising attorney with the Immigrant Legal Resource Center, a San Francisco-based national nonprofit agency. U.S. Attorney General Jeff Sessions in February said that federal officials would try to adopt “reasonable policies” for enforcement of federal anti-marijuana laws. Sessions has said he believes violence surrounds sales and use of the drug. California is home to more than 10 million immigrants, according to the Public Policy Institute of California. Nearly half of all of the state’s immigrants are naturalized U.S. citizens and another 26 percent have some sort of legal status, including green cards and visas. It’s estimated that about a quarter of California’s immigrants are undocumented. In a state where the immigrant population is so vast, the Immigrant Legal Resource Center in January 2017 issued a flier that spells out what non-U.S. citizens should and should not do when it comes to marijuana. It advises non-U.S. citizens not to use marijuana until they are citizens, and not to work in marijuana shops. On top of that, it cautions undocumented immigrants not to leave the house carrying marijuana, a medical marijuana card, paraphernalia, or other accessories such as marijuana T-shirts or stickers. Additionally, they should never have photos, text messages or anything else connecting them to marijuana on their phone or social media accounts. Most importantly, it advises non-citizen immigrants to never admit to any immigration or border official that they have ever have used or possessed marijuana. What it boils down to, Junck said, is that immigration law is federal and marijuana use remains a federal offense, as well as grounds for deportation. Marijuana is still listed as an illegal drug in the Controlled Substance Act and the Immigration and Naturalization Act deems drug trafficking an “aggravated felony,” a type of crime that has been a deportation priority. Lawful permanent residents can be deported for any drug offense, with the sole exception of a conviction for possession of 30 grams or less of marijuana. And, undocumented immigrants with a drug conviction can face a lifetime bar from ever gaining legal status. The only exception is a single conviction for possession of 30 grams or less of marijuana, and by showing extreme hardship to certain family members such as a spouse or children. However, certain provisions under immigration law don’t always require a conviction in order for a person to be considered for deportation. “Immigrants need to know that they can still face some consequences if they admit marijuana use to an immigration official,” Junck said. “The biggest concern is admission to an immigration official,” she said. Immigration officials can stop and ask people whatever they want; it’s just a question of whether the person decides to respond, Junck said. For example, when coming in from customs at the airport, officials can refer someone to what Junck referred to as secondary inspection. Immigrant rights activists say the implications of admitting marijuana use are not widely known. For now, it’s mostly unclear how federal authorities are going to address this legal situation. And in states where marijuana is legal, it’s a topic of serious concern for immigration attorneys and their clients. “Under the Obama administration, I think it was treated more like a wait-and- see where we’re just going to kind of let this evolve,” said David Kolko, an immigration attorney in Colorado, where marijuana is legal. “Under the Trump administration, I think people need to be even more cautious because there’s been certainly an impression that enforcement is going to be dealt with more aggressively and if they choose to use this marijuana issue as one enforcement tool, I think many immigrants … could be very vulnerable in terms of being able to stay in this country or move forward on their immigration cases,” Kolko said. Those who use and study the plant say an outright ban could do serious harm. Seven weeks after the U.S. Drug Enforcement Administration officially withdrew its plan to ban kratom, the federal government is once again set to decide the fate of the herb and the people who rely on it for pain relief and other treatment. The DEA had initially planned to use its emergency scheduling power to push through the ban without input from the public, despite concerns from lawmakers and scientists ― as well as kratom users ― that the move would do more harm than good. In October, however, the DEA opened a public comment period allowing individuals to weigh in on the agency’s decision to place mitragynine and 7-hydroxymitragynine, two active compounds in kratom, in Schedule I. Substances in this category include heroin and LSD and are considered to have no known medical benefit and a high potential for abuse. With the comment period set to close on Thursday, the DEA will now have to take into account the nearly 9,000 submissions from people who wanted to voice their opinions about this proposed expansion of the war on drugs. But kratom isn’t in the clear yet. The DEA is currently awaiting the results of a U.S. Food and Drug Administration analysis on the potential harms and health benefits of the herb, which will determine if kratom truly poses an “imminent hazard to the public safety,” as the agency initially claimed in August. The DEA doesn’t know when it will get the results of the FDA’s review, Russell Baer, a spokesperson for the agency, told The Huffington Post. Although Baer said he expects the DEA to wait for the FDA’s analysis before deciding on an appropriate schedule for kratom ― or whether it should be scheduled at all ― he noted that the agency could still proceed with emergency scheduling even in the absence of more concrete scientific evidence. The DEA’s next steps will have huge implications for people like Joshua Levy. In the video above, Levy explains that he turned to kratom after struggling with dependence on the opioid painkillers he’d been prescribed following a hit-and-run accident. Like many kratom users, he says the herb gave him back the life that had been taken from him by addiction and other side-effects of narcotic painkillers. The kratom community is full of success stories like Levy’s. But together, they form only anecdotal evidence of the herb’s benefits, which is not enough to support a more official confirmation of its medicinal value. Experts like Andrew Kruegel, an associate research scientist at Columbia University, hope the DEA will allow kratom to remain legal so they can keep working to unlock the herb’s potential. Kruegel’s studies have shown that kratom can be used to alleviate mild pain, and that the plant’s negative side effects are relatively minor. But Kruegel also has bigger hopes for kratom, which he believes can be used to aid in the development of safer alternatives to the prescription opioids that claimed more than 18,000 lives in the U.S. in 2014 due to overdose. “Of course, if it’s in Schedule I, historically that greatly limits the ability to do research on it,” he said.